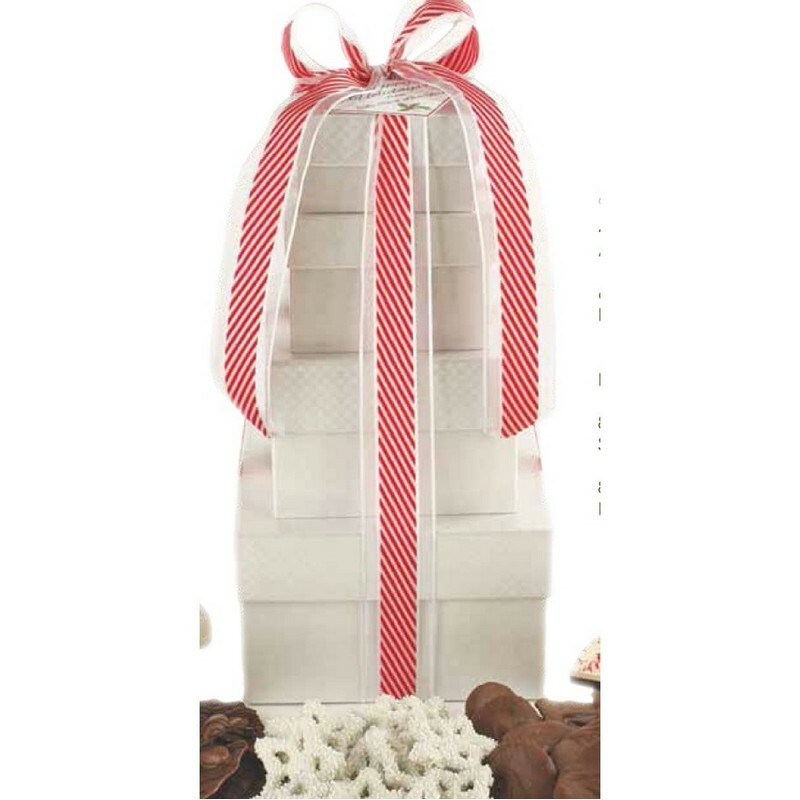 Our Holiday Tower is the perfect choice for the discerning gift giver. This spectacular 4-box collection contains 4 Oz. Milk Chocolate Almond Bark, 6 Oz. Layered Peppermint Bark, 12 Oz. White Chocolate Peppermint Oreo Cookies, 8 Oz. White Chocolate Snowflake Pretzels, and 8 Oz. Milk Chocolate Potato Chips. Elegantly presented with a candy cane ribbon and customized with a 2.5" square hang tag, this gift will most certainly impress.